I grew up in Hamilton, with Byaduk only about 20 kilometres from my home. I passed through it on trips to coastal Port Fairy, visited the nearby dormant volcano Mt Napier with school and heard stories about the Byaduk caves. Never for a minute did I know that I had any link to the small town with its drystone fences and rocky paddocks. I had heard of the Harmans from the conversations of my great uncles and aunties, but when I asked who they were Nana would just say they are “cousins”, so I figured they were not that closely related. It was not until I started finding out more about my family tree and Nana told me all the names she knew, I discovered that her mother Sarah was a Harman. When first researching, I would look through records for certain family names and would often come up with very little. That was until I started on the Harmans. There was loads of information and they soon became my favourite family, and not just for the ease of researching them. I discovered an upstanding, religious family that always dotted the i’s and crossed the t’s. A family that got involved in the community whether it be building schools, ploughing competitions, the Methodist church or the Farmers Union. Back in the late 1800s and early 1900s, they were a well known family in the district. Coming to Australia in three separate groups, Joseph and Sarah Harman and their mostly grown up children, reunited in Port Fairy during the mid 1850s. They established themselves in the town, but with the land opening up in 1861 they moved to newly settled Byaduk around 1863. Joseph was the first boot maker in the town, while sons James, Jonathon and Reuben began farming the stony land. 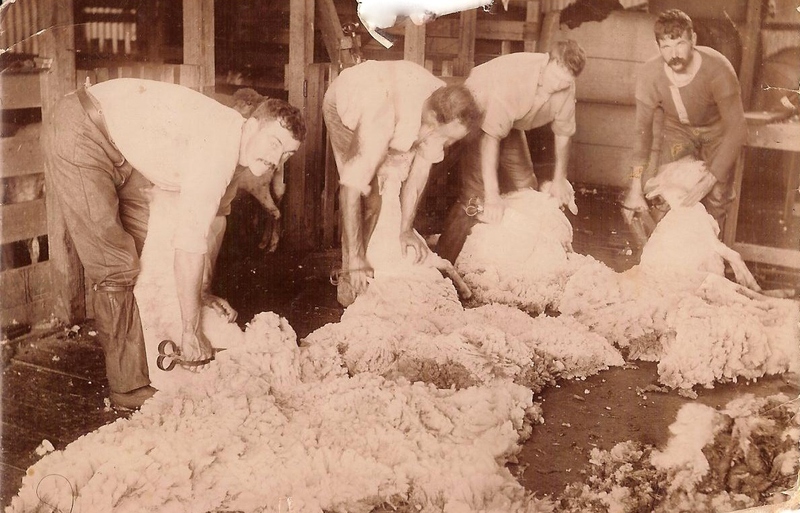 George, who was second eldest, seemed to have no wish to farm and by the late 1860s had returned to Port Fairy where he worked for the local council. 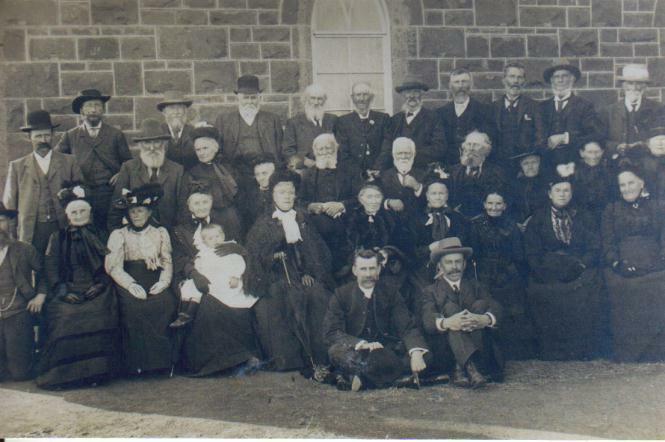 The family grew and by the turn of the century another generation of Harmans were raising families with the union of marriage linking them to other well known families in the district, including the Kinghorns, Bishops and Olivers. The family was also beginning to branch out to other parts of the state, including Gippsland. In 1907, three members of the Harman family appear in a photograph of Byaduk pioneers, James, Jonathan and Reuben’s wife Elizabeth. The name of Harman is not common in Byaduk today but I am proud that ongoing recognition of their presence there is ensured. This entry was posted in Harman, Western District History and tagged Bishop, Byaduk, Byaduk Caves, Harman, Harman Valley, Kinghorn, Oliver. Bookmark the permalink. Sarah – 40 Wife ” ” Baptist illit. Francis ‘Bushy’ Kinghorn is in the photo of the Byaduk Pioneers 1907. Second row, second from left. He is my great, great grandfather.